The majority of existing innovation textbooks either discuss innovation in an all to general way or lean towards a general management or technology perspective. 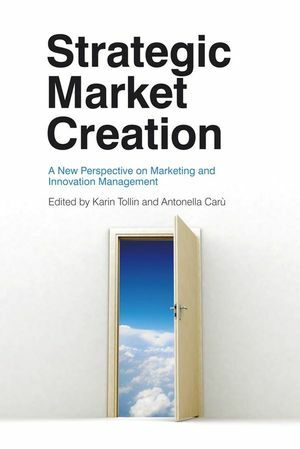 This book combines the fields of marketing and innovation management, acknowledging that marketing plays an important and proactive role in radical product, brand and market innovaton processes. Structured around two key themes – 'Knowledge, Processes and Capabilities for Market Creation' and 'Co-Creation of Meaningful Experiences with Customers', this book fills an important gap in the market. Karin Tollin is associate professor of Marketing at the Department of Marketing, Copenhagen Business School, and programme director of the MSc programme Strategic Market Creation. Her main research falls in the areas of product innovation and knowledge and brand management, with a special focus on top managers' mindsets for innovation and on marketing's role for firms' innovation capability. She has published on these issues in international books and journals. Antonella Caru is professor of Marketing at Universita Bocconi, where she is director of the MSc in Marketing Management. Her research interests are focused on services marketing and on the experiential perspective in consumption and marketing. She has also worked on various research projects in the arts and cultural marketing field. She has published on these topics in various national and international journals and books. 6 Marketing's role for Firms' Renewal and Innovation Capability (Richard Jones and Karin Tollin). 7 Linking Technological Innovation Creation to Supply Chain Management (Juliana Hsuan-Mikkola). 10 Beyond Blue Oceans - Implications of Entry Time for Actors in New Markets (Mads Vangkilde). Part II: Co-creation of Meaningful Experiences with Customers. 12 Co-creating consumption Experiences: an Endless Innovation (Stefania Borghini and Antonella Carù). 15 Three Types of Firm-related Online Communities (Niels Kornum). 16 Co-developing New Products with Customers (Emanuela Prandelli and Gianmario Verona). 17 Consumers' Participation in Market Co-creation: How Gay Consumers Impact on Marketing Strategies through Consumer Society (Stefano Podesta and Luca M. Visconti).